This dish is great over brown or white rice or soba noodles. For a side dish, try an Asian style vegetable such as steamed bok choy, Chinese cabbage sauteed with a little canola oil and minced garlic or sliced shitake mushrooms sauteed in canola oil and garlic. Cubed extra-firm or firm tofu would also make for a tasty recipe. Freeze the tofu for 20 minutes before cutting for a slightly meatier texture. 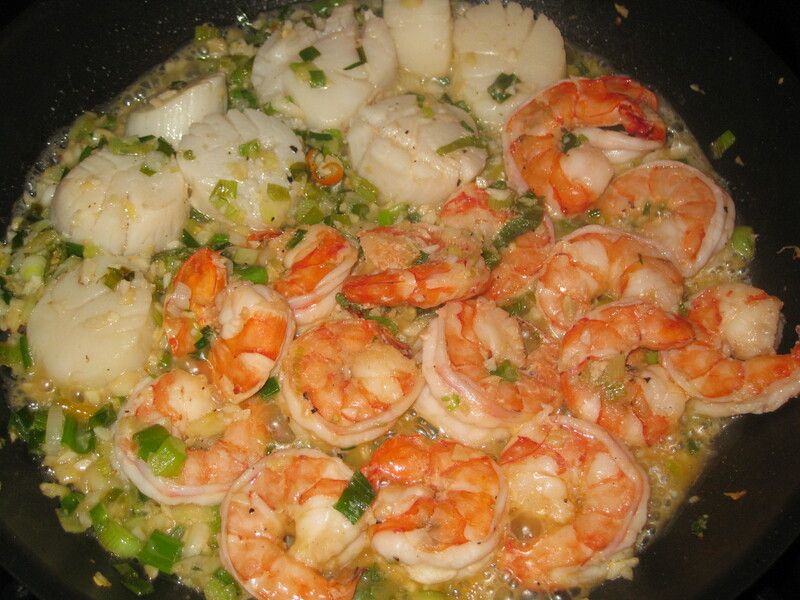 This entry was tagged dairy free recipes, entree recipes, fish & seafood recipes, gluten free recipes, low fat recipes, main dish recipes, scallop recipes, shrimp recipes, vegetarian substitutes. Bookmark the permalink.